Enjoy these selections from the Howe Library Collection and celebrate Women's History Month. You can now quickly access UVM Libraries and their resources through MyUVM. Try out the HeinOnline database during this spring semester. The University of Vermont Board of Trustees voted to remove the name of Guy W. Bailey, UVM’s 13th president, from the main university library.The official name for the building, previously Guy W. Bailey/David W. Howe Memorial Library, will now be David W. Howe Memorial Library. Need a break from spring semester textbooks? Take a peek at Howe Library's New Books section, on the main floor across from the Circulation Desk. International Open Access Week is October 22 – 28, 2018! As a scholar, why should you support and participate in open access publishing models? Check out the New Books section at the Bailey/Howe, located on the first floor near the stairs. Kanopy is is a platform for streaming video, including feature films and documentaries from around the world. There are some important new changes for faculty to be aware of as they plan class content or viewing assignments that rely on this resource. Every four years we run an important, nationally-benchmarked electronic survey that helps us learn how our user community views library services, collections, and facilities. Please complete the online survey at http://go.uvm.edu/librarysurvey. 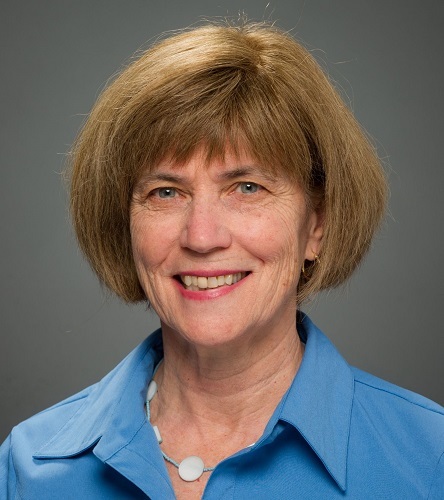 After 16 years as Director, Marianne Burke will retire from the Dana Medical Library Friday, March 30th. We wish Marianne well in her future endeavors!